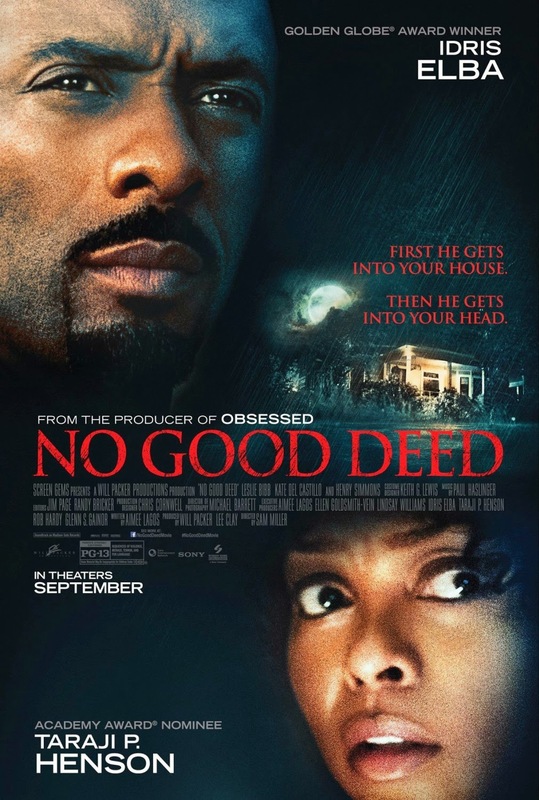 No Good Deed follows a mother of two (Taraji P. Henson) who is just too good for her husband. By that I mean he doesn't know how good he has it with a woman like her. You'll know what I mean when you see it. The movie genre is a thriller with a few jumpy scares and a few moments of anticipation and predictable moments. The storyline for No Good Deed begins with a convict (Idris Elba) on the verge of being released. Due to his unstable emotions, however, he has to wait longer for a unanimous decision and it's clear that it might not be a possibility for a long time. He is sent back to the prison and on his way there he somehow escapes and goes to find an old flame. Because he is an unstable psychopath , he goes mad and follows a predictable plotline. After his escape, he meets a mother of two who does a "good deed" but soon realizes it was a mistake. The story has a decent plot with a slight twist at the ending. No Good Deed is a scary flick good for a date night.